Action Onsite was founded in Southern California in 2001 by Sonia Lopez, an Occupational Therapist. Action Onsite has grown to a team of more than 30 physical/occupational therapists and certified athletic trainers that provide early intervention and prevention to Fortune 500 companies, servicing the Western US and providing consultations across the Nation. Action Onsite is a member of the Women’s Minority Association. We specialize in providing services to manufacturing companies, distribution centers, sales, delivery and telecommunication centers as well as many other areas. Action Onsite has worked with the work environment for over 20 years. Action Onsite is a privately owned company. Our goals are to provide quality service, commitment and loyalty to our clients. Our passion is in “caring for others”, we demonstrate this on a daily basis. When Action Onsite joins with your company , we become part of your team to enhance your present safety program working toward a continuous improvement in health and safety for your team members. Action Onsite’s clinicians are all licensed professionals with orthopedic background specializing in musculoskeletal disorders and ergonomics. All Onsite clinicians are trained and educated in Osha Regulations for preventative care. Our injury prevention program follows the first aid guidelines algorithm. Action Onsite is a consulting preventative program, therefore we do not offer physical or occupational therapy. Our clinicians use their medical knowledge to explain how the body moves and functions either on a one to one basis or in a training classroom setting. Our clinicians use a hands on approach to educate your team members. 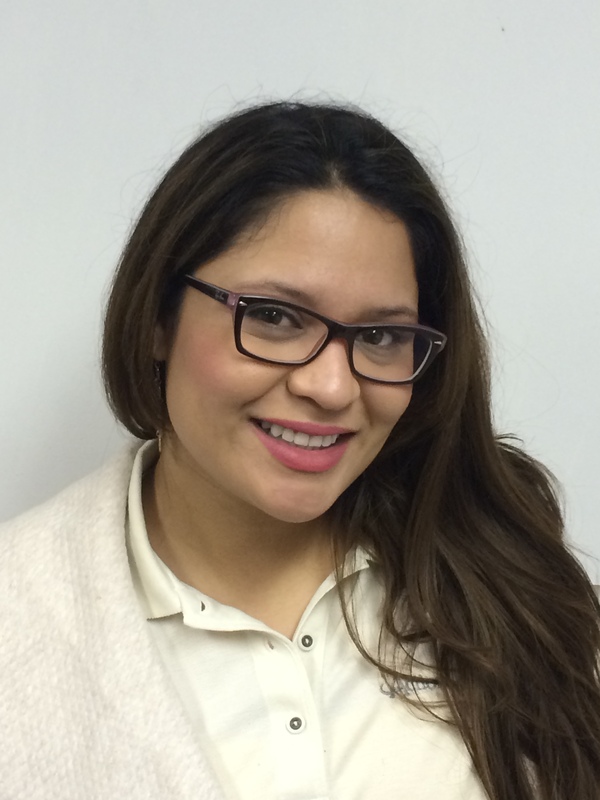 President and CEO of Action Onsite, Sonia Lopez is a Bilingual Occupational Therapist as well as a hand certified therapist. 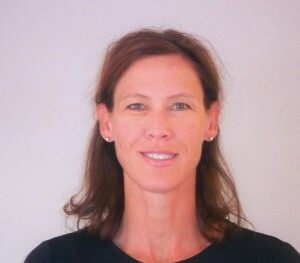 She is a graduate from Loma Linda University and has over 32 years of extensive experience in sports medicine. Sonia specializes in industrial ergonomics. She has worked with the industry for over 20 years and is passionate about helping others. She enjoys educating, training and working alongside with your employees. She is a regular lecturer with Loma Linda University. She enjoys bouldering, traveling and being with her growing family. 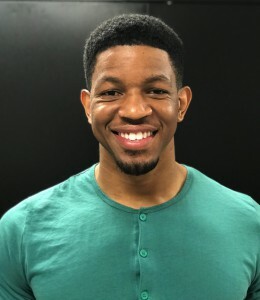 Alan is a baccalaureate graduate of the Athletic Training program from North Park University in Chicago, Illinois and acquired a Master’s degree in Physical Education Sports and Fitness from Florida International University (FIU) in Miami, Florida. He has worked in a variety of settings including high school, Division 1 intercollegiate athletics, professional sports, physician office setting, physical therapy and fitness. Alan’s primary focus is on patient education, movement and function as he believes it is the foundation to a healthy lifestyle. He is currently studying to become a Certified Strength and Conditioning Specialist through the National Strength and Conditioning Association. We are happy to have him join our AOS team servicing Bridgestone in Woodridge, IL. In his free time, he enjoys being outdoors, snowboarding and traveling. Amy graduated from Eastern Washington University in 2011 with a Doctorate in Physical Therapy. She has been practicing in outpatient orthopedics for the duration of her career. Amy lives in Spokane and covers our Frito Lay site. She has a passion for helping people and has lots of energy! In her free time, she enjoys running, golfing, skiing, wake surfing, boating and going on as many adventures as possible with her husband and 2 kiddos. 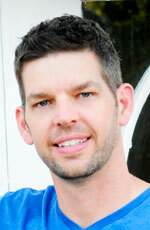 Brady is our full time Operations Manager and clinician with Action Onsite. He has an integral role in our industrial clinician training and new client rollout to help evaluate ergonomic risk factors and provide proven solutions to eliminate risk. 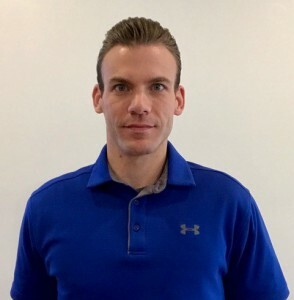 Brady has been a Certified Athletic Trainer since 2002 and also holds a certification as a level II Ergonomic Assessment Specialist (CEAS) and Strength and Conditioning Specialist (CSCS). He graduated from SUNY College at Brockport (NY) with a BS in Physical Education and Health. 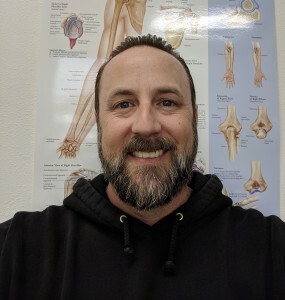 He has worked in a variety of setting from professional sports with the Portland Trailblazers to outpatient physical therapy and high school sports. Brady currently provides service to the City of Vancouver, Ardent Mills-IBR, Corwin Beverage, Frito Lay Sales/Sales Op, Bridgestone and Darigold Portland. He is married and a dad to three beautiful girls that he enjoys spending time with. Christine Orr graduated from the Richard Stockton College of New Jersey with a Bachelor of Science in Physical Therapy. She received her Doctor of Physical Therapy degree from the University of Utah. She has orthopedic experience in a variety of settings including acute care (inpatient and outpatient ), skilled nursing facility, home health, and industrial physical therapy. Christine is presently servicing our Frito-Lay site in West Valley, Utah. Outside of work she is a busy mom of 4 very active boys and can usually be found on the side lines of a soccer field somewhere in the valley. 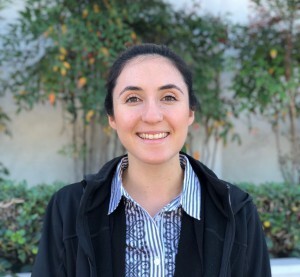 Daniela Loera is a Certified Athletic Trainer who graduated from the University of La Verne with a Bachelor's of Science in Athletic Training. She has been working as a physical therapy assistant at a Physical Therapy clinic for the past year and is excited to work in an industrial setting with Action Onsite at Esterline and Kraft foods. Danilea enjoys hiking, playing soccer, and watching movies. 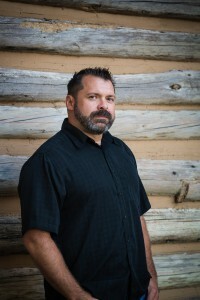 Dave Swetnam has over 10 years of naval service as a hospital corpsman. He has provided emergency medicine, physical therapy, and preventive medicine, as well as variety of other skill-sets in a multitude of environments; all his experiences fostered a desire to prevent injuries and maintain wellness. Dave also completed a physical therapy assistant degree and a B.S. in information technology. Dave also received his master’s in public administration in 2017. Dave currently lives in Jacksonville, FL with his beautiful wife Eileen. They have two girls who are currently attending University in England and West Florida. We are proud to have Dave joining the Action Onsite team servicing our Jacksonville Bridgestone. His hobbies include boating, camping/hiking, auto customization /repair, and electronic gadgetry. Dawn has over 18 years experience in a variety of settings: occupational health, sports medicine, skilled nursing and home health. She enjoys working with the industrial athlete and finding creative solutions to maintain a healthy work environment. Dawn previously serviced our Frtio-lay sites and is now servicing our Stryker site and Alsco sites in San Jose and Santa Rosa CA. She likes spending time outdoors with her family. Debbie Holmes-Enix is a licensed Occupational Therapist who does functional capacity evaluations, job analyses, work evals and ergonomics. She has practiced in industrial rehabilitation for 36 yrs, and has been consulting in ergonomics for over 30 yrs. She graduated with high honors with a B.S. degree in O.T., and an M.P.H. in health education/admin from Loma Linda University. She is the owner of Y.E.S. – Your Ergonomic Solutions, an ergonomics consulting practice. She loves working out, dancing in a Christian performance group, singing, and spending time with her family. She has partnered with Action Onsite, Inc. for a variety of ergonomic projects. It is her pleasure and passion to help individuals improve their work and lifestyle health for lifelong well-being. Derek is a physical therapist from Hockinson, WA. He obtained his doctorate of physical therapy in 2012 from Azusa Pacific University and is also an alumni of Washington State University. He now lives in Ridgefield, WA with his wife Andrea, his son Lucas, and his 3 dogs. Derek joined the Action Onsite team in 2014 and services our Corwin facility in Ridgefield, WA. In his spare time, he enjoys camping, playing baseball or basketball, wake boarding, and playing board games. Doug graduated from Whitworth University in Spokane, WA with a Bachelor of science in Athletic Training. He has over 11 years of experience within physical therapy and chiropractic clinics helping people move better and improve their health. He also holds a certification as a Motor Control Restoration Specialist (MCRS) and a Strength and Conditioning Specialist (CSCS). Outside of work Doug enjoys and cherishes the time he has with his wife Heather and their 4 children. Greg graduated from American Military University in Charles Town, West Virginia with a Bachelor of science in Health and Exercise Science with a concentration in Sports Medicine. Greg was also enlisted in the United States Marine Corp from 1993-2000. Greg was the Head Trainer for the State Champion Southern California Steelers, when on to be the Head trainer for the State Champion Riverside City College Baseball team. Greg is also an active trainer for the San Diego Galaxy. His main focus now is prevention and to educate and rehabilitate individuals that have physical ailments. We are proud he was joined the Action Onsite team in Southern CA servicing Bridgestone and McLane. Greg loves to spend time working on and riding his Harley with his wife Rachel. 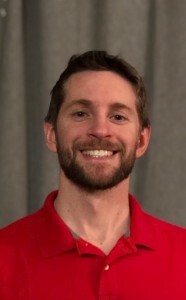 Greg Rose is a Licensed Athletic Trainer with a Bachelor's Degree in Athletic Training and a Bachelor's Degree in Health & Fitness, both from Texas Christian University, Fort Worth, Texas. He has 10+ years’ experience as an Athletic Trainer and is also a Personal Trainer with LA Fitness. He is excited to be a part of the industrial aspect of providing injury prevention with Action Onsite. His hobbies include bowling, basketball, and volleyball, Greg is a 10+ year Leukemia Survivor with 9 years in remission. Heidi has been a board certified athletic trainer for over 20 years and licensed in Idaho upon arrival in 2015. She graduated from UNLV with a degree in Athletic Training and from the University of the Pacific with a master’s degree in Sports Science. She has experience working in university and high school athletics as well as in physician offices. Having lived in many states, she is happy to call Idaho home and enjoys the outdoor lifestyle offered in the state. She enjoys running and is also a NICA Licensed Coach and Team Director for the Eagle High School Mountain Bike Team which allows her many joyful hours of riding singletrack with her kids. She is excited to work with the Action Onsite team in the Boise, ID area with the industrial athlete population. Heidi graduated in 1982 from Loma Linda University with a B.S. is Occupational Therapy. She has practiced in the fields of acute hand rehabilitation, and work rehabilitation for some 20 years specializing in hand therapy. She is also a Certified Ergonomic Evaluation Specialist (CEES) and has been consulting with employers since 1985. 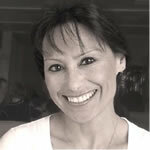 She is certified in Pilates and Yoga instruction and consults privately and in local physical therapy practices. Heidi has been a team member with Action Onsite since 2007. 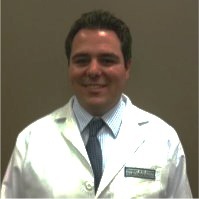 Jerry graduated in 2000 from San Diego Mesa College in San Diego, CA as a Physical Therapist Assistant. 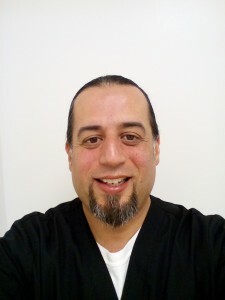 With over 15 years of experience, he has worked in variety of different hospital and clinical settings including: VA San Diego, in La Jolla CA in the Spinal Cord Injury Rehabilitation Unit, Patton State Hospital Mental Health Facility in Patton CA, Arrowhead Regional Medical Center (San Bernardino County Hospital) ICU Burn unit, and currently working at Redlands Community Hospital as an inpatient therapist. Jerry is looking forward to coming on board with Action on Site to provide education and share firsthand experience with the staff at McLane warehouse in Riverside, CA to help in preventing work place injuries. 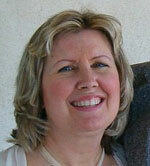 Jodi Decker is from the Midwest and has been practicing PT for over 30 years. She presently works at Balanced PT. She joined our Action Onsite team in 2009 and covers our Frito-Lay Vancouver, WA site. 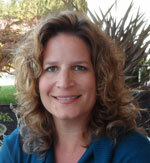 Jodi has extensive experience in orthotic fabrication and in treatment of the full spine. Jodi’s tries to equip each person she sees with tools they can use to successfully reduce their pain and gain better function. Jodi is married and a mother of four. She loves to read, garden and play ultimate Frisbee. John Parr is a graduate from the University of Washington where he earned his degree in Physical Therapy. 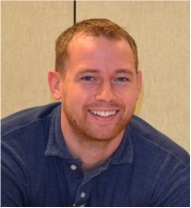 He has achieved advanced certification in manual therapy through the North American Institute. 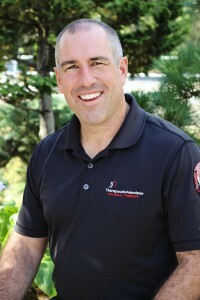 John specializes in manual therapy and is also a certified golf instructor. His passion is in helping people reach their goals through highly personalized service and care. John has been the director of Therapeutic Associates since 1998. 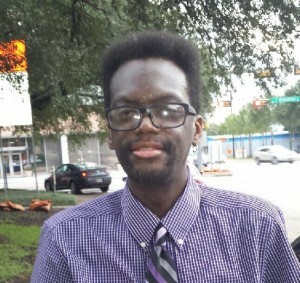 He joined the Action Onsite team in 2009 and services our Frito-Lay site in Portland. John enjoys spending time with his family. He also loves playing sports of all kinds, including softball, racquetball, golf, and tennis. John is an avid runner and has competed in both the Portland and Boston Marathons. Kaitlin grew up in Montana where she attended MSU- Great Falls and received her PTA license. She worked in Idaho for a year and a half, then decided to dabble in travel therapy where she spent 4 months in Maryland. Kaitlin ended up in beautiful Oregon and has been working in a rehab facility there. She joined the Action Onsite team and is servicing the Frito Lay Salem DC. Kaitlin love the outdoors spending time on the coast, hiking and enjoying nature! Kate Humphrey has worked as a PT for over 20 years, with experience in orthopedics, upper extremity trauma and oncology. She moved west 15 years ago for a rural lifestyle and has spent the last 10 years focusing on safety in the workplace and home. Kate’s specialty is vocational Injuries, corrective movement and the aging body. 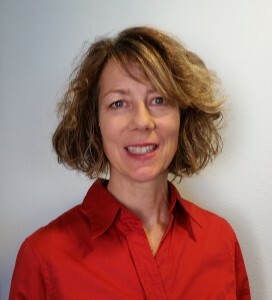 She has joined our Action Onsite team servicing Darigold in Bozeman Montana. Kate and her husband enjoy camping, biking, and health outreach through their church. 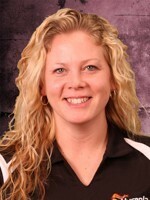 Katie is a licensed and certified athletic trainer working in Spokane, WA. 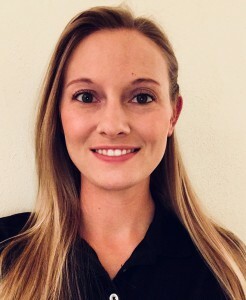 She has a Bachelor of Science in Athletic Training from Southern Illinois University - Carbondale and a Master of Science from the University of Wyoming. She has previously worked in collegiate athletics, a physician office, and the industrial setting. She is very excited to be living in the Pacific Northwest with her husband and dogs enjoying hiking, camping and traveling. She is proudly providing service to our Spokane Darigold. Lisa has been a licensed physical therapist for over 20 years and holds an additional certification as a Certified Ergonomics Evaluation Specialist (CEES). She graduated from the University of Illinois at Chicago with a degree in Physical Therapy and from Marquette University with a degree in Industrial Engineering. Her work emphasis throughout her career has been in the areas of Outpatient Orthopedics and Industrial Rehabilitation. Her background in both physical therapy and engineering has led to a passion for ergonomics and helping others to reduce injuries and increase overall wellness through the use of ergonomic principles. Lisa currently lives in Portland, OR. and will be joining the Action Onsite team servicing the Tualatin area. 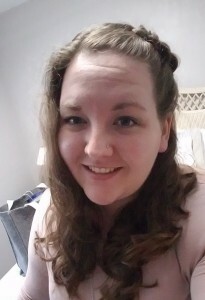 Outside of work, she enjoys spending time with her family, jogging, crocheting, playing guitar, reading, exercise training with seniors, and attempting to experience life to the fullest while learning from the wisdom it offers. Meghan Haas is a licensed and certified athletic trainer in Pennsylvania. She currently serves as an Athletic trainer at a secondary school and has worked at the collegiate level during her 16-year career as an athletic trainer. 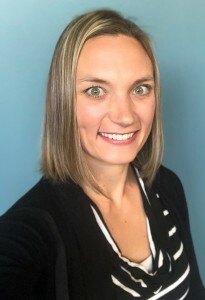 Meghan earned her Bachelor of Science degree in athletic training at California University of Pennsylvania and her Master of Education degree at Alvernia University. 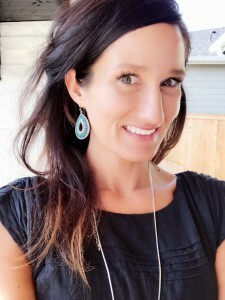 She is very passionate about health and wellness and loves educating and guiding others to promote and enhance performance in all aspects of life. We are happy that Meghan has joined the Action Onsite team to service the 2 Bridgestone sites in her area! Nancy Garza received her B.S. degree in Athletic Training from CA State University , Northridge in 2009. She is a national certified athletic trainer and a corrective exercise specialist (CES). Nancy has been working in a Physical Therapy clinic for 3 years as physical therapy aide, She educates in body awareness while diminishing symptoms with proper exercise rehabilitation. 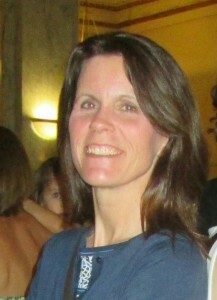 From 2009-2012 Nancy worked as an athletic trainer for the National and Junior National Field Hockey teams. She also provides medical coverage throughout the LAUSD and private schools in the LA area as an independent contractor for football, soccer, lacrosse, and track and field. We our proud Nancy has joined the AOS team to service our Alsco site in LA. 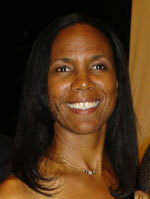 Nicole earned her Doctorate in Physical Therapy from the University of Southern California in 1998. Prior to that, she attended Washington State University where she completed her Bachelor of Science in Biology. Her broad range of physical therapy experiences including inpatient rehabilitation, acute care, home health, and outpatient orthopedics help her approach each patient uniquely. Nicole continues advancing her skills by studying with the North American Institute of Manual Therapy. Nicole is presently servicing our Frito-lay Boise Region. When she is not working, Nicole loves spending time with her three children and husband camping, hiking, boating, and her favorite hobby – running. Percy Bell is a native of Louisiana. He obtained his bachelor's degree from Nicholls State University and his master's degree from Middle Tennessee State University. He has over 3 years of experience in the industrial setting. Percy has also previously worked for the NFL and with collegiate athletics. We are happy that Percy has joined the Action Onsite team, he will be bringing his creative abilities to our Bridgestone site in Tennessee! 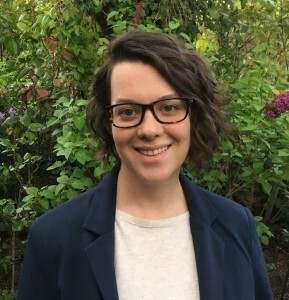 Rachel graduated from Renton, WA in 2016 with her BS degree as an Occupational Therapist Assistant, and a BS degree from Oregon State University in 2008 in Interior Design with emphasis in The Study of the Near Environment/Ergonomics, Gerontology and Public Health. She designed and ran daily operations of multiple restaurants in Portland, OR. She has a passion for working with people helping them improve their quality of life. She is presently servicing our Seattle Darigold and Frito-Lay locations. She loves camping, Baking gluten free treats, spending time with friends and family, and volunteering with in the Seattle community. Saboora Deen MS, ATC, LAT, CSCS I am a certified athletic trainer with a Master's degree in Health and Human Performance. My goal is to educate and coach team members to use their bodies in the most efficient way for maximizing their performance in their work and play activities. I have 15 years of experience in working with athletes and workers. I joined the Action Onsite team in 2013 and am servicing the Frito Lay DC's in Everett and Redmond, WA. Shawna graduated with a occupational therapy practitioner degree in 2016, with experience in pediatric orthopedics. Certified in perceptual action response for movement disabilities. She has over 8 years of experience in the retail setting, promoting safety and good body mechanics for high performance in work related tasks. Shawna is joining action onsite this year servicing our Frito-Lay DC in Everett, Redmond and Federal Way. Shawna enjoys the outdoors, hiking, kayaking and spending time with her family. Sue has worked in the medical field since 1991. She has worked as a surgery scheduler/ back office assistant. She then joined the Rehabilitation Technology Works team in accounts receivable, billing and collections for nine years. In 2006, Sue joined the Action on site team as the administrative assistant. She enjoys hiking, traveling and spending time with her family and 5 grandsons! As a Honolulu native and a homeschooling mom of three, Tracey has been in practice for nearly 22 years with experience in Pediatrics and Orthopedics, with a personal passion and interest for Manual Therapy and Industrial Rehab. She earned her MPT in 1994 from University of North Dakota and currently work's as an Independent Contractor providing Outpatient Orthopedic PT services at clinics on the islands of Oahu and Maui. During her spare time, she serve's as a Community Health Advocate Trainer (CHAT), providing individual counseling and community education to local residents and visitors, empowering each person to become the "CEO" of his/her own health. Tracey enjoy's teaching, lecturing, cooking, creating delicious raw vegan cuisine, as well as hiking, biking, and "beach days" with her husband, three children and friends in the natural beauty of Hawaii's outdoors. 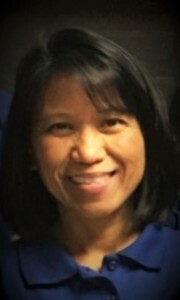 She is eagerly looking forward to working with Action Onsite's Frito-Lay Hawaii DC as our OnSite clinician. Action Onsite, Inc. is an onsite workplace consultant based in Calimesa, California, serving Fortune 500 companies nationwide.